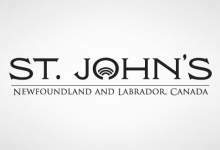 Residents of St. John’s who are seeking financial assistance to neuter their male cat can apply to the City’s cat neuter assistance program. The City’s goal is to double the number of male cats neutered annually with no limit per household. The female cat spay assistance program will be re-opening later in the spring and will be announced. Male cats must be at least six months old to qualify. Applications are accepted in-person only on Wednesdays between noon and 2 p.m. at the Animal Care and Adoption Centre, 81 Higgins Line.